Altimeter is beautifully designed and easy to use androidapplication for measuring altitude and almost everything you wantto measure. With Altimeter you can measure everything around you,whether you аre in the mountain or in the city. Altimeter is greattool for people who love skiing, mountain biking, hiking,traveling, outdoor activities, elevation or just want to checktheir coordinates.Features:With GPS tracker you can track yourspeed, altitude from all your outdoor activities and then check thepath that you traveled with high precision. GPS Tracker shows yourmaximum, minimum and average speed.GPS Tracker also shows yourmaximum, minimum and average altitude. GPS Tracker shows you totalelevation during the track. 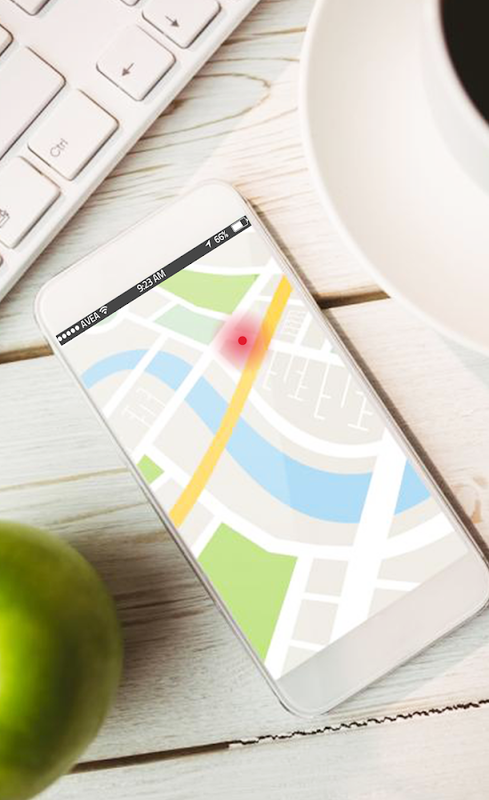 In GPS Tracker you can check theduration of your tracks and where they were tracked.To start gpstracker all you need to do is to hit the start button at the top ofaltimeter app, when it becomes active(start button becomes activeonly when receive signal from gps satellite). To stop the gpstraker just hit stop button at the place of start button at the topof altimeter app.With GPS Altimeter you always can check youraltitude(elevation) with ease. Altitude is measured by your GPSsensor in meters or feets. The Altimeter works great in offlinemode thanks to the GPS sensor in your device. GPS Speedometer.Speedometer measures your speed in km/h or mph through GPS. In asecond you can measure your speed thanks to the GPSspeedometer.Barometer tool. Measures atmospheric pressure by thesensor in your device in hPa or psi.Thermometer tool. Ambienttemperature measured by the sensors in your device in Celsius orFahrenheit degrees. The thermometer in altimeter app works inoffline mode, so you can always check the temperature aroundyou.Hygrometer tool. Ambient relative humidity also measured bysensor in your device.With altimeter app you can easily check thehumidity in your home or anywhere.-Illuminance meter tool. Amountof light on your device measured in lux or fc. In Altimeter app youcan measure the amount of light beam from any source.Altimeter appintegrates Google Map showing your current location andcoordinates. By moving the pin around the map you can check thecoordinates of any location.Battery level.In altimeter app you caneasily share your measurements with your friends, or just exportthem to save place, by tapping the export button from the menu, anytime you want.Feel free to suggest next features! Get your smartphone working smooth again( •ᴗ•)!Have more fun withyour phone when its running at top speed XD!The smoother yoursmartphone works, the more Pisuke and Rabbit characters you'llsee!All illustrations can be downloaded totally free - use them foryour phone's wallpaper!All right, let's get started!● AppIntro・With one tap, you can check how smoothly your phone isrunning.・In a few simple steps you'll have your phone working likenew again!・The smoother your phone is running, the more charactersyou'll meet! (You'll have to download the app to find out who...▶▶)・Collect photos of Pisuke and Rabbit with the in-app album!・Youcan use ALL of Kanahei's characters as your phone'swallpaper!・Check how much battery you have left with just aglance!・Save battery just by adjusting your screen'sbrightness!●This App is Perfect for People Who...・feel like theirphone is dragging lately, but can't switch to a new phone justyet...・like rabbits!・want to save battery.・have been looking for acute wallpaper.・love adorable illustrations・have a sllooowwwwphone...・want their battery to last longer・use apps like facebookand Twitter, which use up a lot of memory.・want cutewallpapers.●How to Use① If you feel like your Android is runningslow, give it a smoothness check② Select whether you want itworking smooth ASAP, or have some time to give it a proper scan③Once the check is finished, say thanks to Rabbit and Pisuke.They'll probably be nice right back to you... (download the app tofind out how...▶▶)④If characters keep popping up, check the in-appalbum!⑤Download original wallpapers right from the album●About theIllustrator: KanaheiAn illustrator and manga artist based in EhimePrefecture, kanahei makes cute and comforting characters that areespecially popular with girls.Many of his illustrations and mangacomics are used for character designs and mobile contents.His iconcustomizer smartphone app CocoPPa has over 2 MILLION followersaround the world, and his custom LINE sticker set,"Pisuke&Rabbit. by Kanahei," took 2ND PLACE in 2014's LINECreators' Stamp Awards!●Please Read!If the app is not working wellfor some reason, please click "Other" in the app, and type yourissue in the "Inquiries" section. We may not be able to verify yourissue if you inquire via a review in your smartphone's app store.Thank you for helping us improve our service! Has your phone become slow, laggy or out of space? Ifso, Boost My Android is just the most trusted speed booster& Cleaner you need.Boost My Android is a light all-in-one speedbooster , junk cleaner & cpu cooler for your android phone . Itcan boost the speed of your phone by up to 60%, and safely cleanjunk files to increase available space in one tap.Boost My Android(Speed Booster & Junk Cleaner) highlights:Speed Booster - PhoneBoostWith the advanced process monitoring technique, speed boostercan intelligently clean background processes, stop stealthy runningapps and disable stealthy auto-start apps even on non-root devices.Free up memory, speed up your device and save more battery. JunkCleaner - Memory CleanerWith expert cleaning engine, junk cleanercan detect and clean junk files including cache files, residualfiles, temp files and obsolete apks to free up storage. Boosts speed and improve the performance of your phone. CPUCoolerAnalyze CPU usage and stop overheating apps to cool down CPUtemperature with only 1 tap.Battery Saver Boost My android is alsoa excellent battery saver. After speed boost, it can stopunnecessary apps and effectively save battery by 20%.Easy toUseJust one tap the boost button to speed up your phone and keepyour phone clean and fast. Boost My Android aims to be the bestAndroid speed booster & junk cleaner app, your 5-star drivesawesome work! Processor Booster Maximizes Performance & Saves Battery forRooted android smartphone and Tablets.Many apps here on the PlayStore kills background running apps to reduce battery consumption& claims in increasing speed. Actually they just killbackground running tasks & cleans Cache. As soon as thebackground running apps were cleaned their services in thebackground restarts in a few seconds & Cache are temporaryfiles created by apps that help to load app faster next time. Yourdevice does not need such type of apps. Just search on google "Doesyour android device really need a task killer ?" You will find manylinks revealing the truth. And why you need to download and usethis app? To know more continue reading the description till end,or just download it and explore it yourself.Processor Boosterdetects background running services & Hibernates (deep sleep)app services in background when not in use, using this app you caneither hibernate apps individually or auto hibernate them all atonce by just 1-tap and leave the rest to us.Many big apps likeFacebook uses very high RAM VM Heap size. Processor Booster setsRAM VM Heap size to maximum which maximizes the availability ofmemory to the current running app, this ensure that the app havevery less chances to Crash by Out of Memory Error.Processor Boostersets CPU Governor by setting frequency of the processor to anoptimal state. This app automatically sets appropriate CPU Governorthat makes it more battery saving, fast and stable.We designed thisapp in such a way that you just have to just select and Activateany one of the boosting mode, and leave the rest to our algorithm.This app never sends you notification to disturb you, Nor any fancyanimations like broom, rocket, etc. We want you to just activate aboost mode and leave it for the rest of the day, you will feel thedifference.Root Access is required for proper functioning of thisapp. This app have automatic backup system and it never damagesyour device. This app is proven with all type of processors withvarying frequency and varying number of cores.If you like this App,say thanks by rating us 5 stars, if you encounter any problem orhave any question, please let us know in the review section below,we will surely reply you & will try to solve the problem. Yourfeedback & support is precious to us.